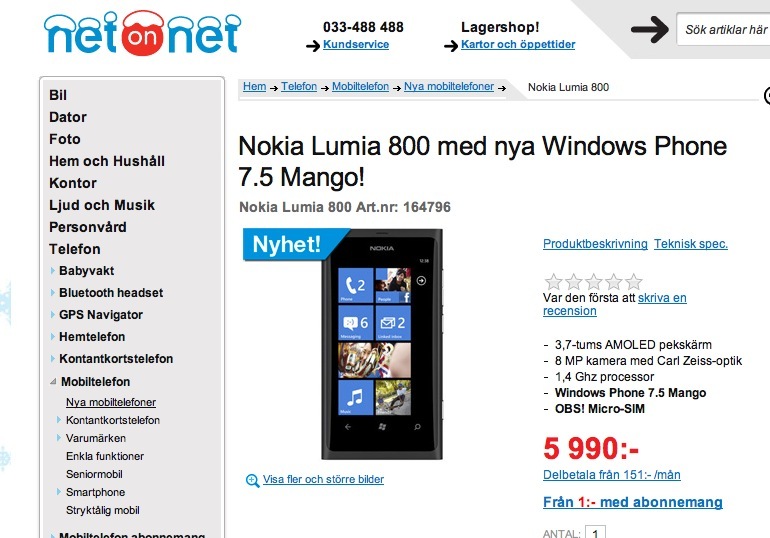 I don’t think the Nokia Lumia 800 is officially available in Sweden at the moment, but Sclero found this listing where you can get one early. Note, it’s imported. Hmm 5990 Swedish Krona is around 660 Euros? A little pricey if you want it early. Cheers Sclero for the tip!